Being the top head of your school, you might at times have to conduct video conference with your employees, in case you are out of station. 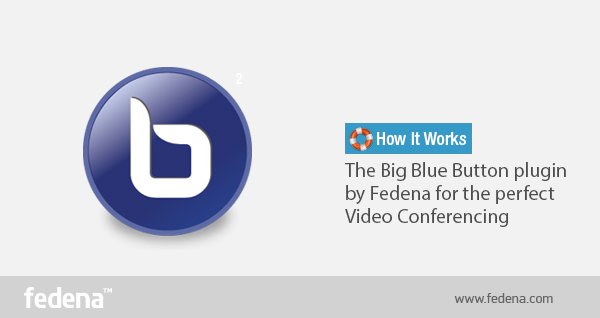 Fedena brings to you the Big Blue Button plugin with the help of which you can easily conduct video conferences from anywhere away from your school. But in order to use this plugin, the first thing you need to do is to install the Big Blue Button to your server. Only then you can use the plugin effortlessly. Read this article and you will get to know how you can use the plugin for your meeting with employees. If you are the admin, login to your account and go to ‘Collaborate’ in ‘Collaboration’ found in the main menu. Once you click on ‘Collaborate’, you land on the page where you need to add your server details and also create a new meeting. Click on ‘Servers’ as highlighted in the screenshot and add your server in it by clicking on ‘New server. Fill in all details that you have for your server and ‘Save Changes’. The next task you need to do is to create a new meeting with the help of the ‘New’ option in ‘Online Meetings’ page. Click on ‘New’ and you land on the page where you can create a new meeting and share with all those with whom you want a meeting. Once you are done, click on ‘Save’. After it is saved, your task is done as an admin. Being the admin, you can edit or delete any new meeting created. Plus, you can also ‘Join’ and ‘End’ any meeting you are participating in. If you are the employee who is scheduled for the meeting, then login to your account and go to ‘Collaborate’ in ‘Collaboration’ in main menu. Click on ‘Join’ to join the scheduled meeting. Very nice detail info on how to do Video Conferencing with simple steps. E-learning is the best way to provide proper education for distanced students. Previous PostPrevious How Important is Creativity in Classroom?